Reigning J2 champions Kashiwa Reysol extended their lead at the top of J1 to three points with a 3-0 win at home to in-form Vissel Kobe, as closest challengers Vegalta Sendai and Yokohama F Marinos played out a 1-1 draw at the Yurtec Stadium. Junya Tanaka put Reysol in control with two goals in three first half minutes, finishing off an incisive passing move to open the scoring before smashing a confident left-footed shot past Vissel ‘keeper Kenta Tokushige from a narrow angle. Leandro Domingues completed a comfortable victory with a third midway through the second period, while Popo saw red for the visitors four minutes from time. Meanwhile, unbeaten Vegalta took a 1-0 lead into the interval thanks to Shingo Akamine’s header on 20 minutes, but were pegged back when a Shunsuke Nakamura cross found the head of Hiroyuki Taniguchi for his second goal in as many matches. The Sendai side are now three points behind Kashiwa in second, with Marinos a point further back in third. Two spectacular goals from Koji Morisaki gave fourth-placed Sanfrecce Hiroshima a 2-1 win over Kashima Antlers, who remain in the relegation zone with just five points from six league matches. The 30-year-old opened the scoring with a 30-yard strike after just nine minutes, and though Shinzo Koroki levelled soon afterwards, Morisaki collected the ball from twin brother Kazuyuki to hit the winner from 25 yards in second half stoppage time. Nagoya Grampus got their title defence back on track with a 5-2 defeat of Avispa Fukuoka, but had to rely on a late charge after conceding two equalisers to the bottom club from Kyushu. Jungo Fujimoto put Grampus ahead for the third, decisive time on 81 minutes, before additional strikes from Igor Burzanović and Keiji Tamada. Avispa are still without a single point after eight matches. Omiya Ardija moved up to ninth in the table with a 1-0 win at Cerezo Osaka that leaves Levir Culpi’s Champions League quarter-finalists winless in the league and separated from the bottom three on goal difference alone. Brazilian forward Rafael scored the only goal after a quarter of an hour, beating Cerezo custodian Kim Jin-Hyun from a tight angle at the near post. A Kengo Nakamura-inspired Kawasaki Frontale came from behind to beat Gamba Osaka 2-1 and leapfrog their opponents into eighth. 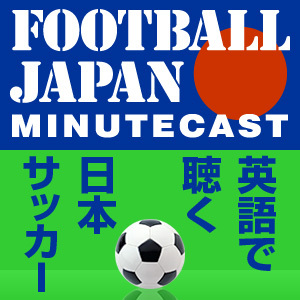 Nakamura hit a left-footed shot through a crowd of players to cancel out Adriano’s penalty, and won the game with a right-footed free kick in stoppage time – moments after Gamba were convinced they had the ball over the line at the opposite end. Elsewhere, struggling Urawa Reds could only draw 1-1 at home to Albirex Niigata despite two former Albirex players – Marcio Richardes and Edmilson – combining for the first half opener. A scoreless draw in the Shizuoka derby at Shimizu S-Pulse meant Jubilo Iwata missed the chance to go third, while Ventforet Kofu drew 1-1 with Montedio Yamagata. -	Cerezo Osaka will be the J. League’s sole representatives in the last eight of the AFC Champions League after beating city rivals Gamba 1-0 on Tuesday. Cerezo dominated for much of the derby clash and finally secured victory through Daisuke Takahashi on 88 minutes after a catalogue of errors in the Gamba defence. -	South Korean clubs look to have maintained their dominance over East Asia, with FC Seoul thrashing Kashima 3-0, and Nagoya going down 2-0 at Suwon Samsung Bluewings. -	Gamba teenager Takashi Usami is one of three new names in Alberto Zaccheroni’s Japan squad for the Kirin Cup matches against Peru and the Czech Republic. The 19-year-old forward joins Kawasaki midfielder Kosei Shibasaki and Kashima full-back Daigo Nishi. What on Earth has happened to Kashima?